Update: this post was re-written in 2018 with a few tweaks and an even simpler method. The post is here, check it out! Both versions are delicious. I feel strongly that we should all eat Jamaican food every weekend. And by Jamaican, I mean mildly reminiscent of lots of different Island-types of food. I’m authentic like that. 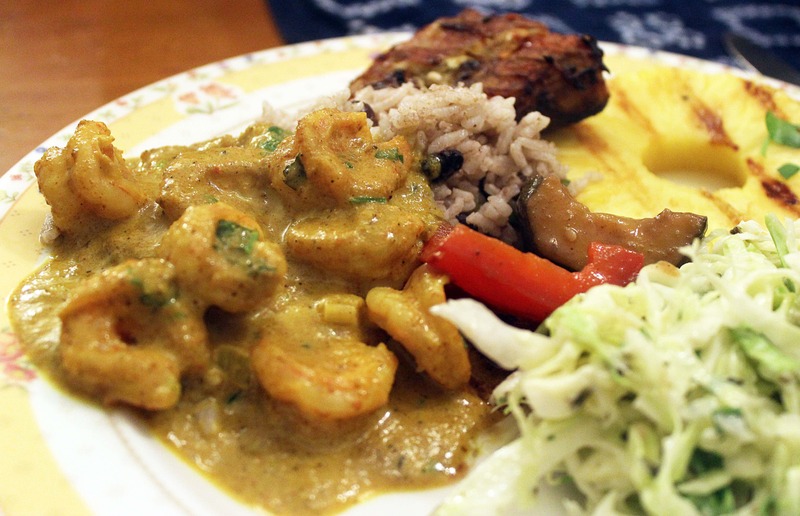 For Mother’s day last month we had a Jamaican partayyyy, and one of the dishes I made was this shrimp with curry sauce. It was SO easy and quick, but really tasty. Note: It has heavy cream in it. In a good way. 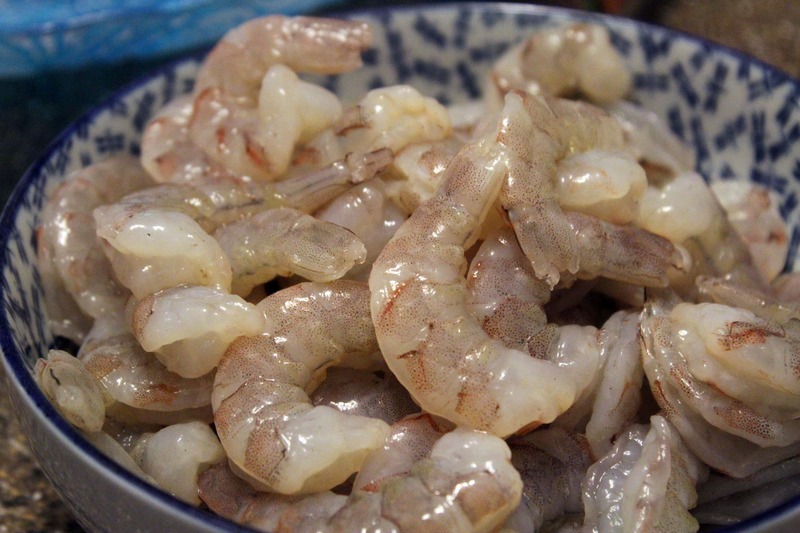 You have your shrimp, and it’s thawed and ready to go. Pat it a little bit dry! 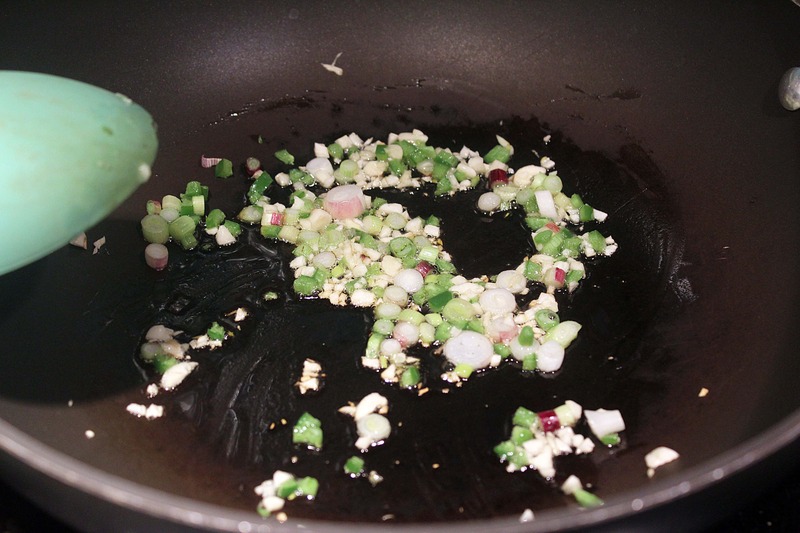 Then, mince the garlic, onion, and jalapeno. Take out the seeds of the pepper if you don’t want it too hot – that’s up to you! Heat a pan over medium heat with a drizzle of oil, and add the veggies. 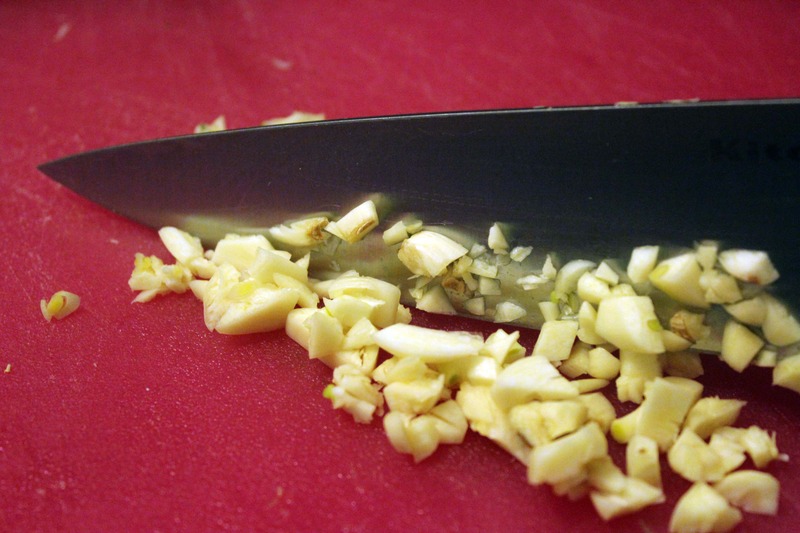 Stir them around for 2 minutes or so – you want them to be fragrant but not brown. 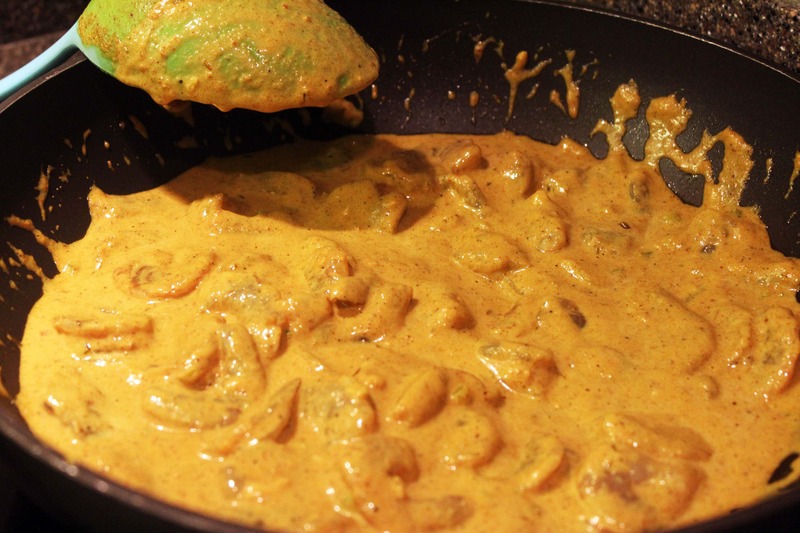 Then, add the curry powder and stir it around to coat the veggies for a minute or two. Then, dump in the cream and stock and let this simmer and thicken. Taste it and add salt or cayenne if you’d like! Now, up until this point you can make the sauce way in advance – the day before if you’d like! 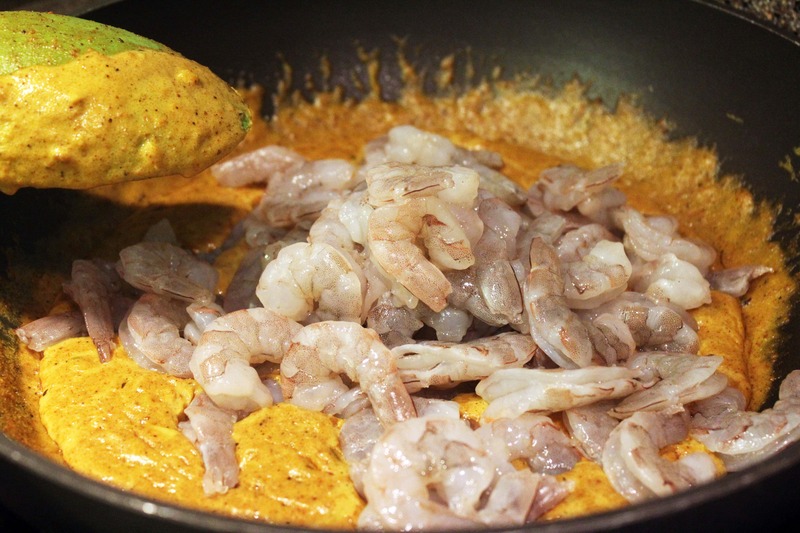 When you’re nearly ready to eat, turn the sauce up to a gentle bubble and add in the shrimp. Stir them around for a few minutes – they’ll take 5-10 minutes to cook through depending on how hot the sauce is. And, that’s it! Toss some fresh herbs on top of this beautiful gravy if you’d like, and serve it over rice and black beans. If you’re feeling fancy, feel free to toss on some lime wedges for good measure. Delicious! 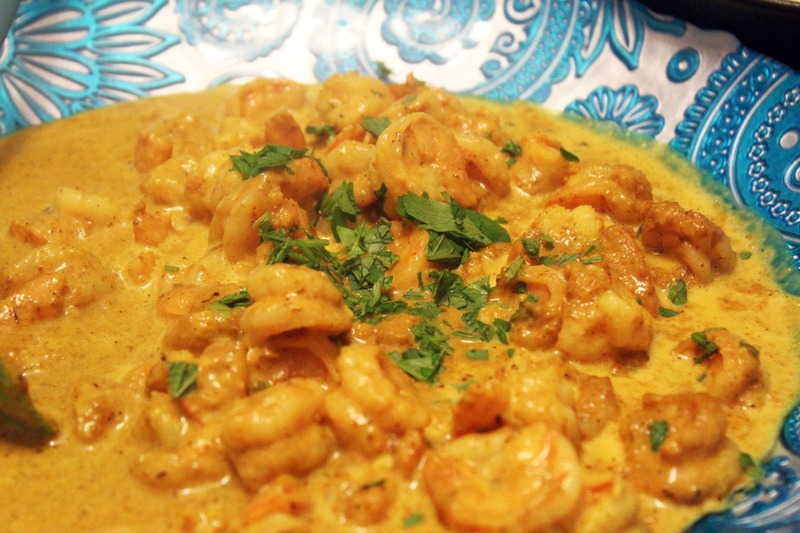 I used McCormick curry powder. Maybe with a different curry would’ve helped? But I was dissapointed thought the dish was bland. I’m so sorry to hear that! The dish is mild, but the curry flavor was still very pronounced. 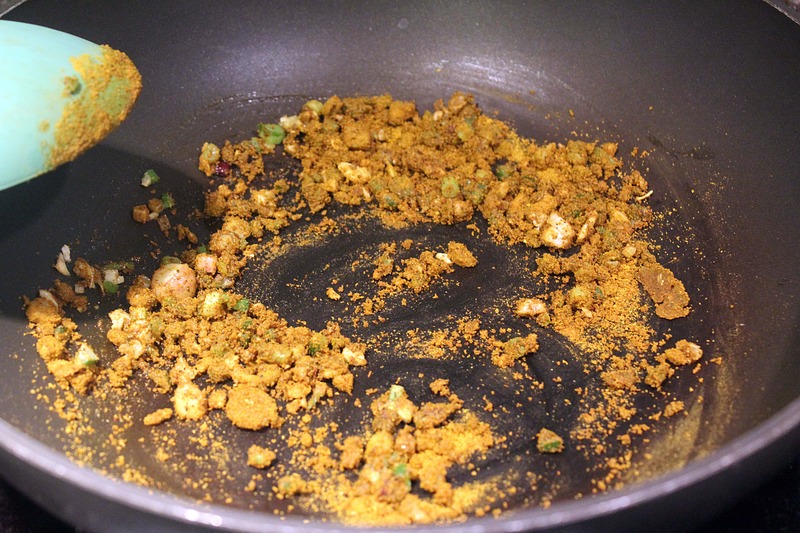 If told like more flavor, I’d suggest adding more curry powder, salt, one clove of garlic, and a bit of ginger. 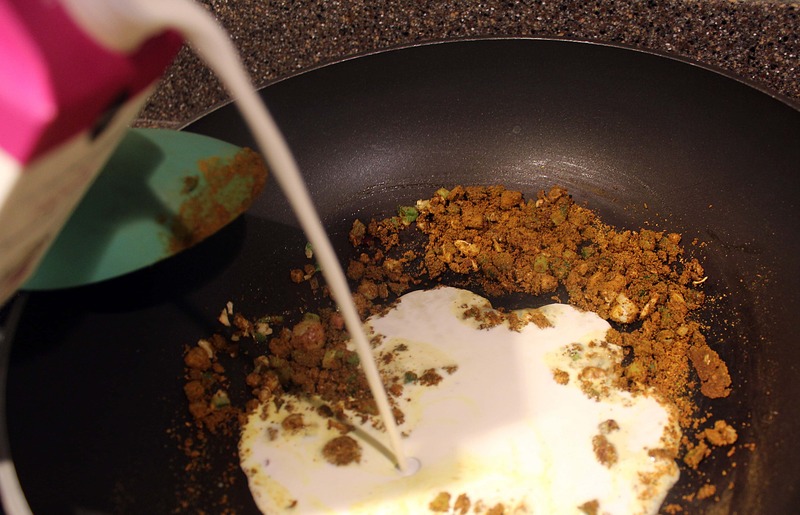 For more spice, add a larger chili or some crushed red pepper flakes. You could also garnish with fresh cilantro for added zing. Let me know how it goes! When making west Indian food I would suggest using west Indian seasoning. Check your Asian store.